Let's "face" it....our faces are likely what they will see first....best face forward, ladies! Hydrate from within and use the very BEST ingredients on your precious skin. The best ingredients, do not have to be expensive...you aren't paying for some celebrity endorsement or expensive marketing campaign here....just honest to goodness skin care! 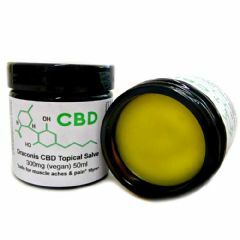 Draconis CBD Salve is an ancient Chinese formulation that has been used with much success for many years, it helps to calm and relax whilst helping to soothe the mind and body in a quick and simple application. Our essential oil blend is safe for painful muscles and inflamed joints. Each jar contain a full 300mg of High Spectrum CBD in a vegan natural base of Hemp, Olive, Cocoa Butter and Coconut Butter.